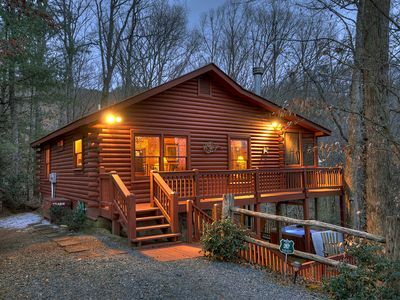 Wheelchair friendly cabin w/ roll-in shower, dog-friendly w/ private hot tub! 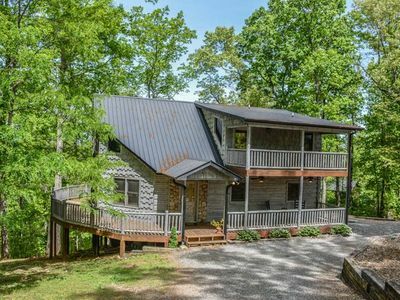 A memorable vacation awaits at this newly renovated cabin in Mineral Bluff, a dog-friendly retreat with a private hot tub and ample space for a small family or group! 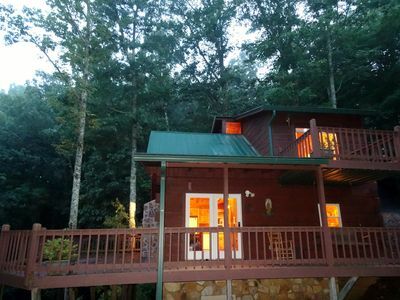 This cabin was designed with wheelchair accessibility in mind, offering a deck ramp, 36-inch doorways, low beds for easy transfer and access, and an accommodating shower with handrails. 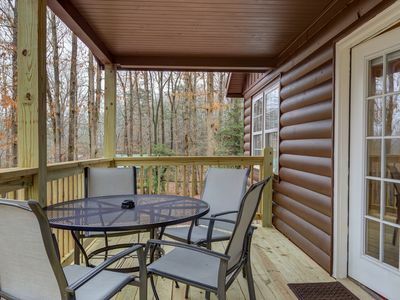 Sip your morning coffee on the furnished deck, prepare summer barbecues on the gas grill, and relax by the gas fireplace while watching your favorite movies on one of the Smart TVs! 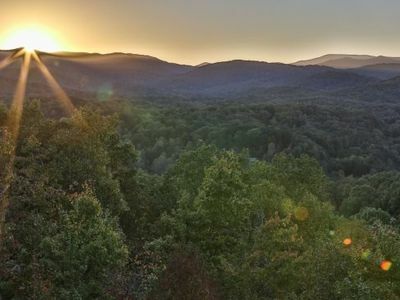 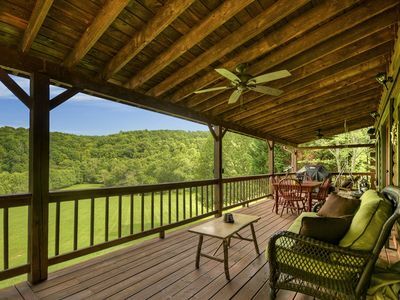 This cabin sits six miles northeast of charming downtown Blue Ridge, where you'll find delicious Southern cuisine, boutique shops, and the Blue Ridge Scenic Railway. 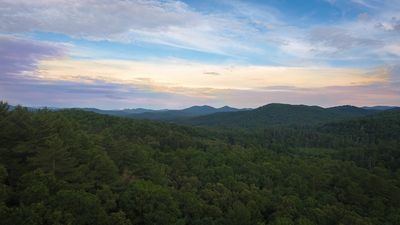 Take a trip to the Georgia-Tennessee state line and admire the North Georgia mountains along the way. 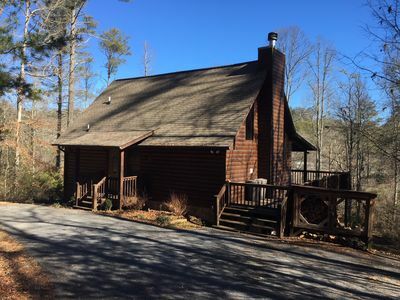 You can also launch your boat (or rent kayaks and stand-up paddleboards) at the Lake Blue Ridge Marina only four miles south. 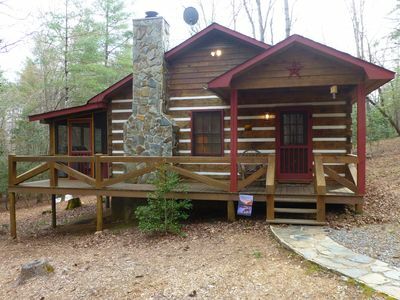 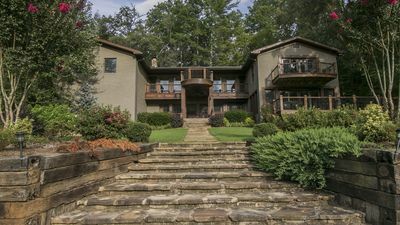 Affordable Mountain Cabin With Fireplace, Internet, & Netflix! 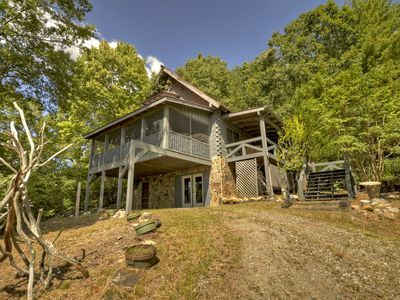 Breathtaking Mtn Views/Remote/ In the ❤ of the Aska Adv Area/Hot Tub/Free Wi-Fi! 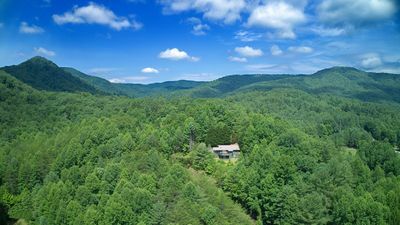 Heavenly Hollow- Escape To The Perfect Mountain Getaway!! 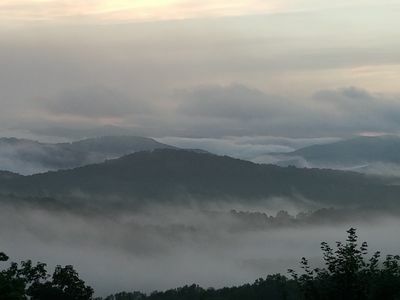 IT'S ALL ABOUT THE VIEWS! 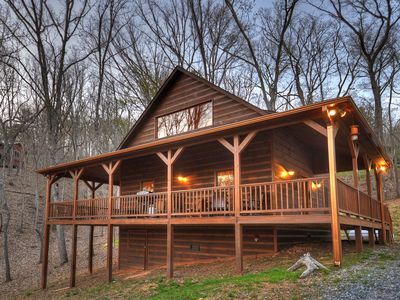 Luxury Cabin 6 miles from town on paved roads. 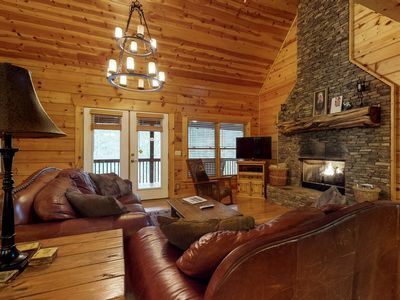 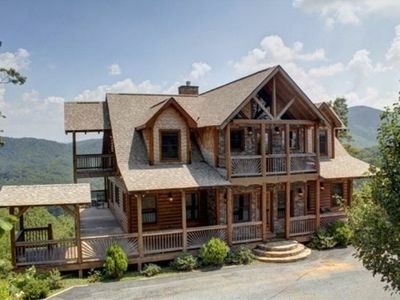 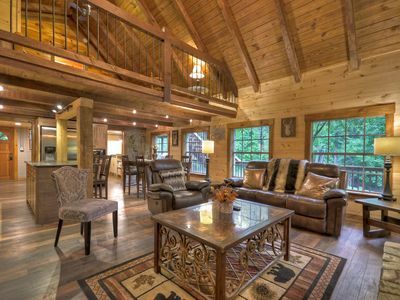 Cardinals Crossing is a romantic cabin in the mountains! 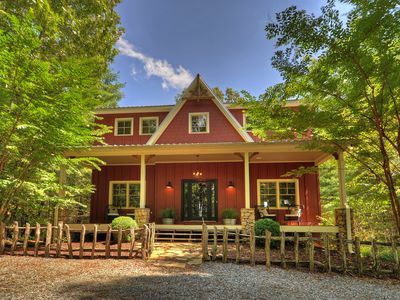 Spring Special! 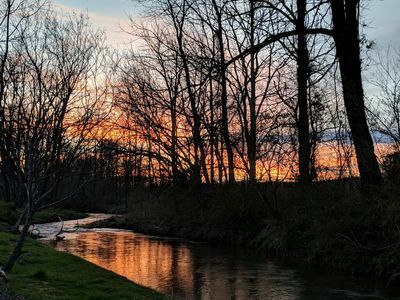 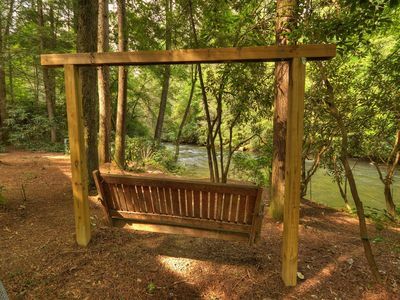 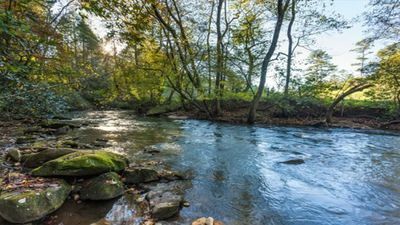 Acres of lush rolling meadows with a rambling creek just waiting for you to throw in a fishing line.